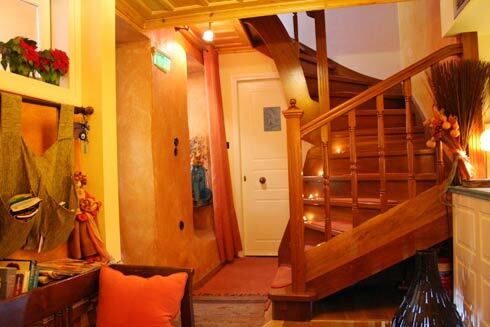 The recently renovated pension has become a boutique hotel but it is still considered a traditional pension, with its antic furniture and its charming design. 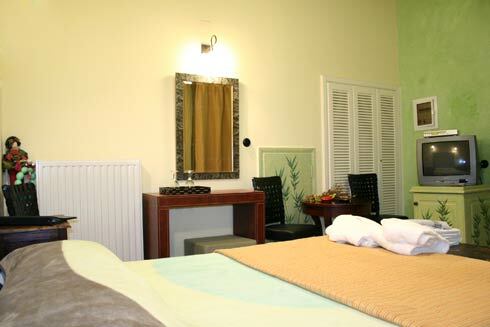 The pension operates all year long and its staff waits to welcome you and offer their services. 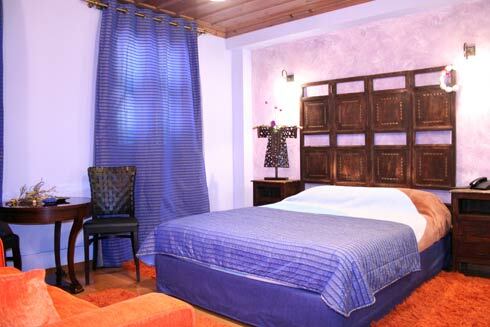 In Amfitriti you will experience all the modern comforts in a traditional environment. 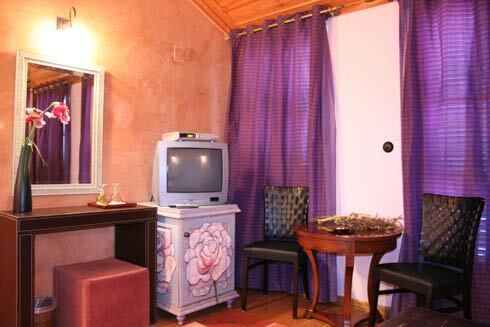 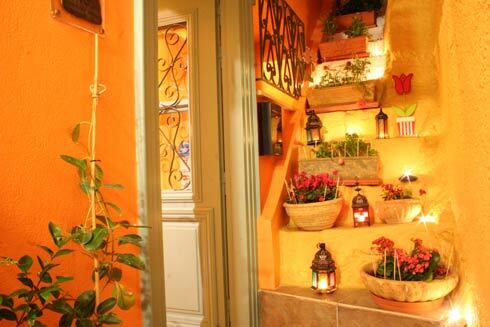 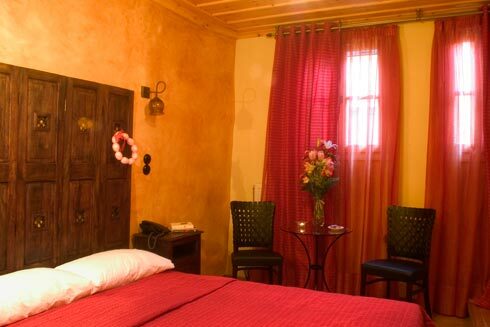 There are five unique rooms in Amfitriti Pension, called Muses, Amadryades, Nymphes, Nereids and Danaides. 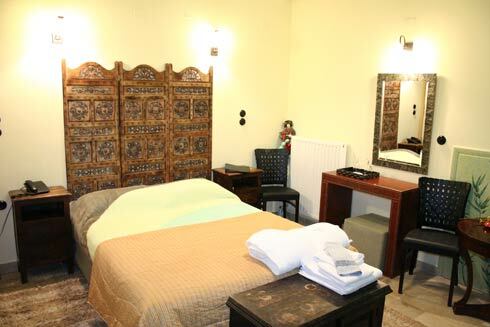 Each room has a different design, but they are all special with beautiful antic furniture, thick carpets, mirrors, large comfortable beds and rich colours. 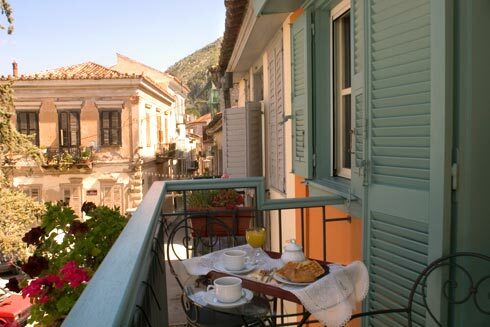 The view of the city from the balconies is breathtaking. 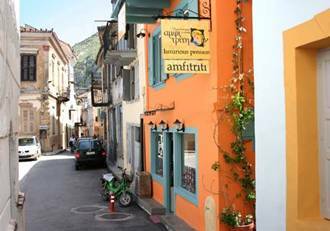 Although Amfitriti hotel is a traditional place it has all the modern amenities to make your holidays in Nafplion satisfying. 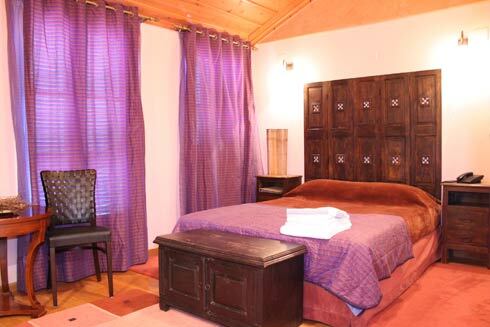 All the rooms in Amfitriti have beautiful private bathrooms with outstanding design that include a hairdryer, a telephone, deluxe toiletries, slippers and best quality towels. 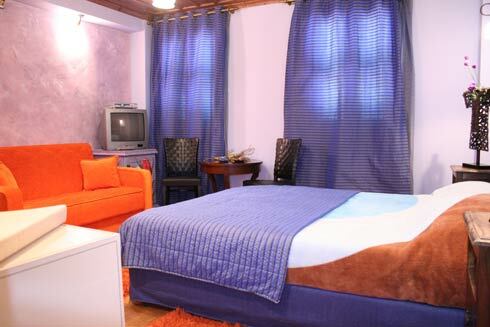 They also have air condition or heater depending on the season, a mini bar, a satellite television and a safety box. 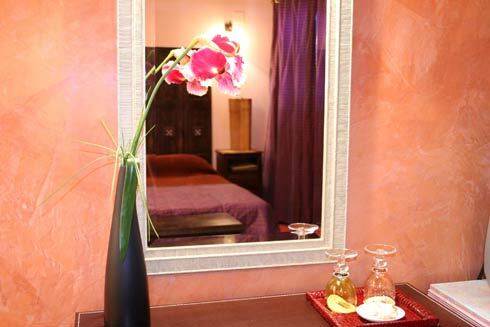 The hotel’s offers breakfast that you can enjoy in the privacy of your room and really feel that you are on holidays. 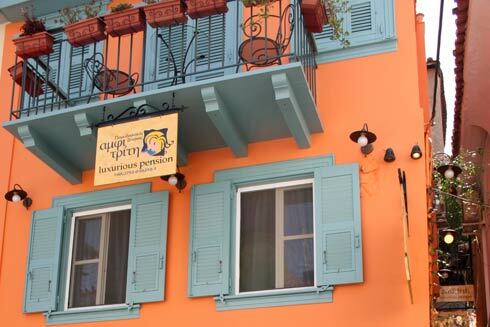 Surrounded by all these modern amenities, the beautiful and luxurious rooms and the friendly staff your stay in Nafplio will definitely be simply wonderful.